Date of Birth 29 January 2001. Secret is a veterinary inspected stallion and his prodgeny are eligible for the MMDA Stud Book. 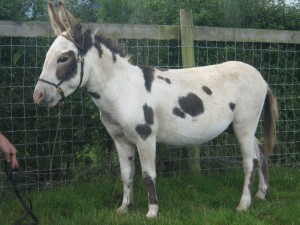 He is producing coloured and plain coloured foals, all with the same quiet temperament as him and with very pretty heads. SOLD. Congratulations to Mr & Mrs Blackett on purchasing the perfect gentleman.